LeEco, the China-based manufacturer, has launched the LeEco Le Max 2, the second generation of their flagship smartphone, at an event held in New Delhi today. The device was first launched in China in April this year. Another device, the LeEco Le 2, is also launched along with. The smartphone features a full metal body. It runs on EUI OS, which is based on Android Marshmallow. The battery capacity of the device is 3,100 mAh and supports the new generation LeEco fast charging. The smartphone comes in two variants - one with 4 GB/ 32 GB RAM/ROM combination, and the other with 6 GB/ 64 GB combination. The storage is non-expandable though. It is powered by 2.2 GHz quad-core 64-bit Qualcomm Snapdragon 820 processor coupled with Adreno 530 GPU. It supports 4G LTE and VoLTE, along with the usual connectivity features like Bluetooth and WiFi. It comes with Type-C USB and is a dual SIM (both nano) smartphone. 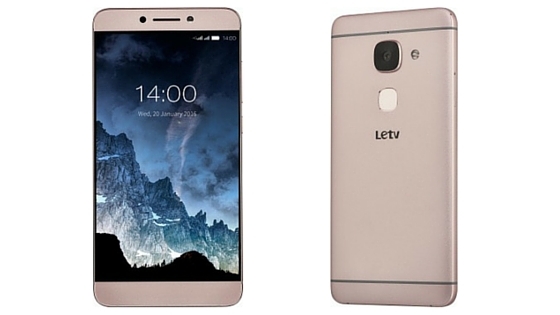 LeEco Le Max 2 comes with a 5.7-inch QHD display, with a resolution of 2560x1440 pixels and pixel density of 515 ppi. The device features a 21 MP primary camera with a f/2.0 aperture; dual tone LED flash and PDAF. The secondary camera is a 8 MP shooter with a f/2.2 aperture. The fingerprint sensor is integrated at the rear. What might sound strange is that there is no 3.5 mm audio jack on the device. LeEco has come up with a CDLA (Continuous Digital Lossless Audio) technology, which makes use of the USB Type-C interface to play audio. The smartphone comes in gold, gray and silver color options. It is priced at ₹22,999 ($340 approx.) for the 4/32 GB version and ₹29,999 ($445 approx.) for the 6/64 GB variant. It will be available on Flipkart and LeMall (their newly launched in-house e-commerce store) from June 28th onwards. Registrations for the same start on 20th of this month. One year membership of the premium content bundle by LeEco will be available free of cost.